Whisper-gentle boat trip along the 'water corridors' of Dordrecht, past dark openings and colossal warehouses. View the monuments from another perspective: from the water. 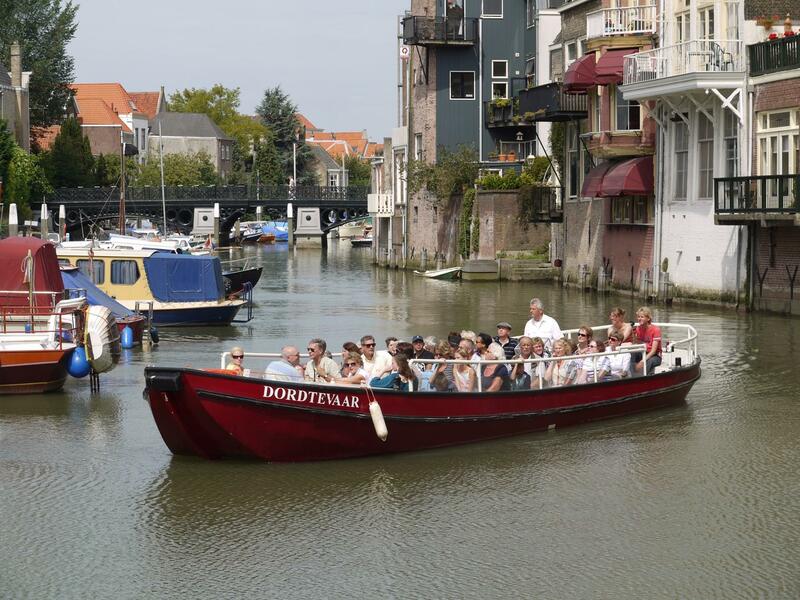 From April to October, the Dordtevaar, an open electric pleasure boat, makes a relaxed trip through the harbours of the historic inner city in just under an hour. The Dordtevaar departs from the Wijnbrug Bridge. You also venture onto the river to get a great view of the Groothoofdspoort gate.